Prior to joining Liu & Associates in 2005, Marieta obtained her Business Administration Degree, and Certified Public Accountant at the University of the East located in the Philippines. From there she moved to Canada in 1997 and attended the Bow Valley College where she took Accounting and Financial Management. 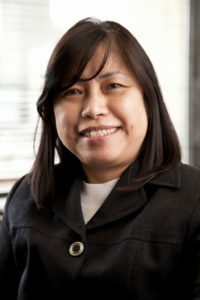 Marieta worked with a large national firm before joining the team at Liu & Associates, in the Calgary office. Marieta resided in Calgary, where she lives with her husband, and is the loving mother to four wonderful children.